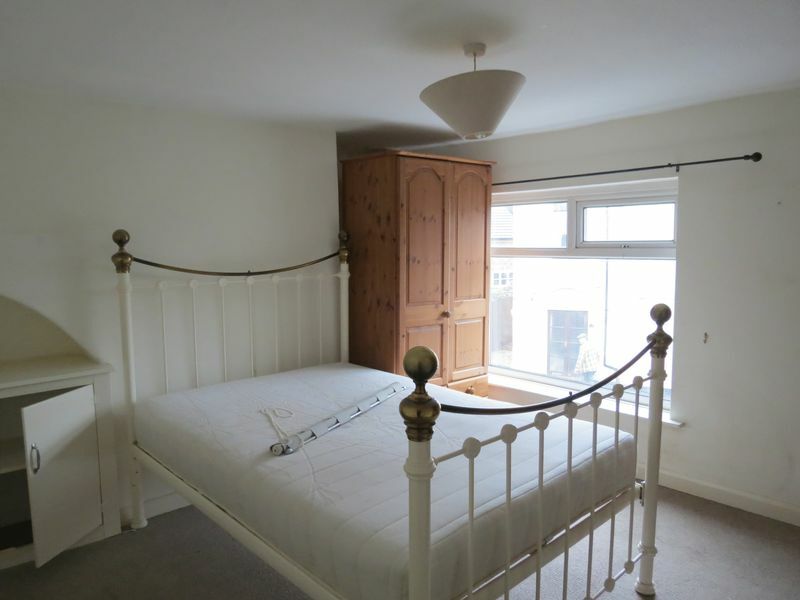 This terraced house offers more space than the outside would suggest, and has been refurbished throughout. 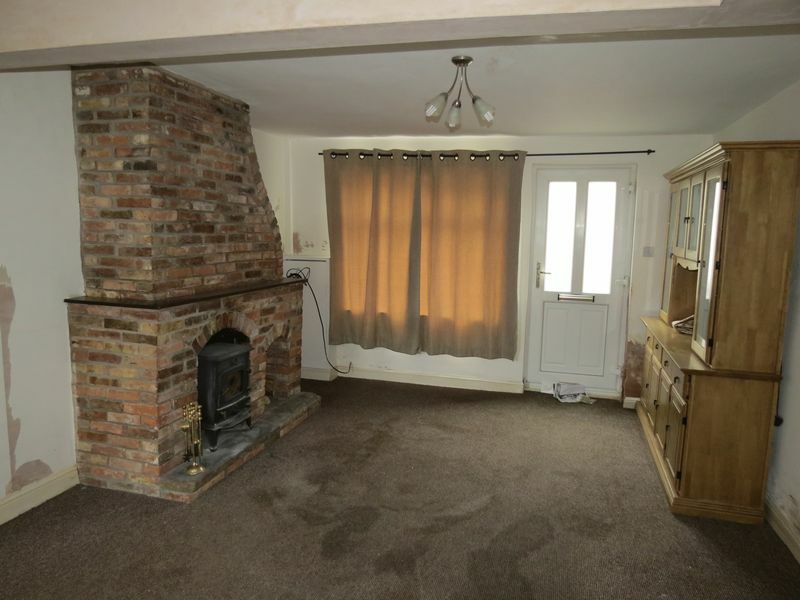 There is a downstairs wc, refitted kitchen, lounge with woodburner, conservatory, 2 bedrooms and a refitted bathroom. 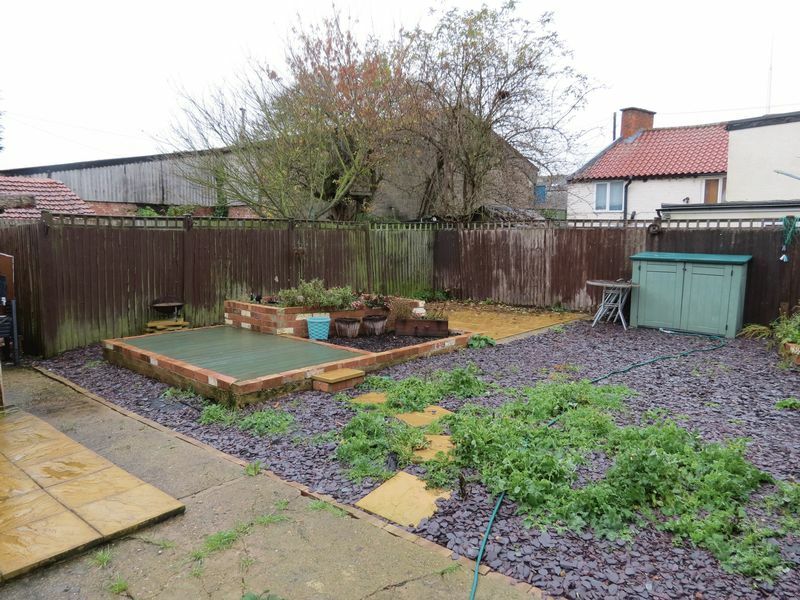 Large Rear Garden. 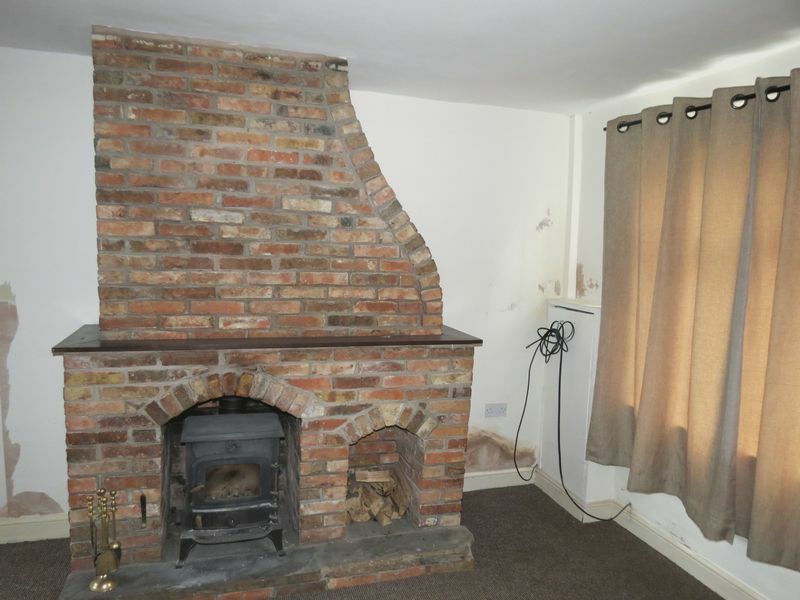 PVCu double glazed windows to front & rear, woodburner set in feature brick built fireplace, night storage heater, two wall lights, stairs to first floor landing. 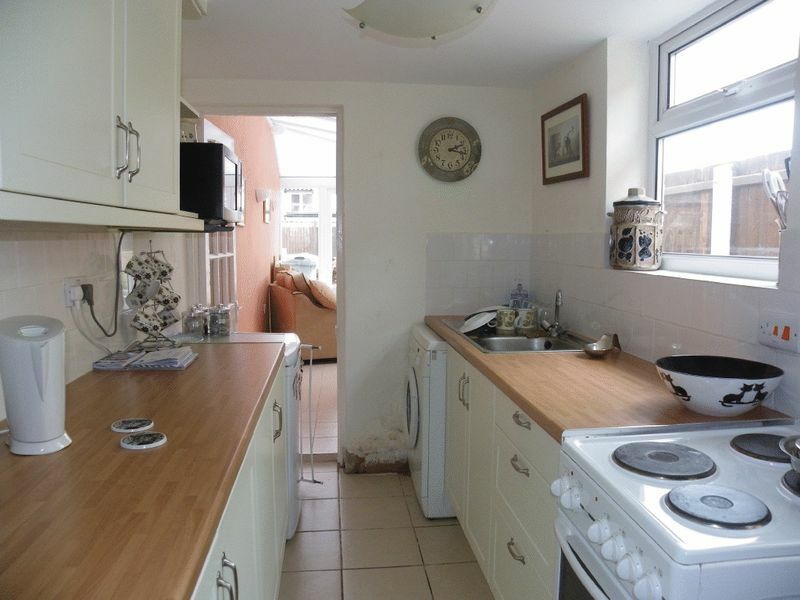 Refitted with a matching range of base and eye level units and cupboards with drawers and worktop space, 1½ bowl stainless steel sink unit, PVCu double glazed window to side, ceramic tiled flooring, PVCu double glazed door to side. 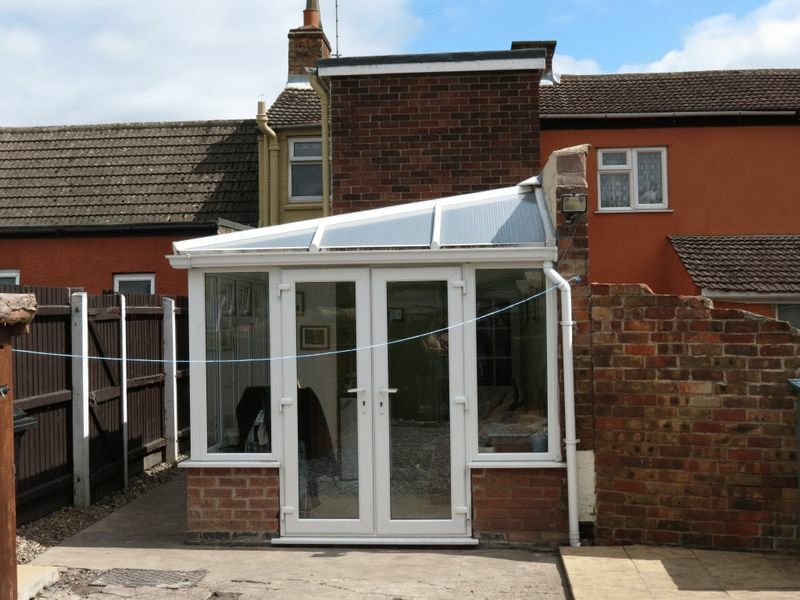 With PVCu double glazed french doors to garden, ceramic tiled floor. 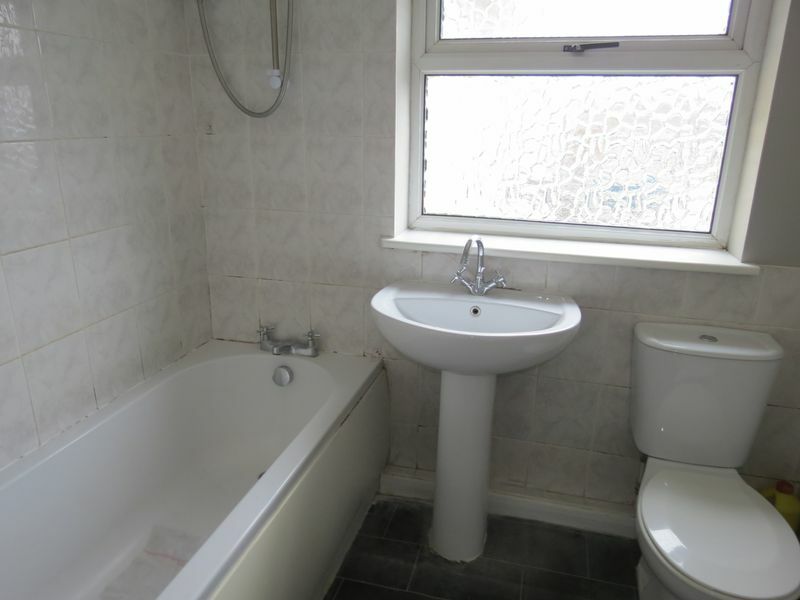 PVCu double glazed window to side, wash hand basin and low-level wc, ceramic tiled flooring. PVCu double glazed window to side, night storage heater. 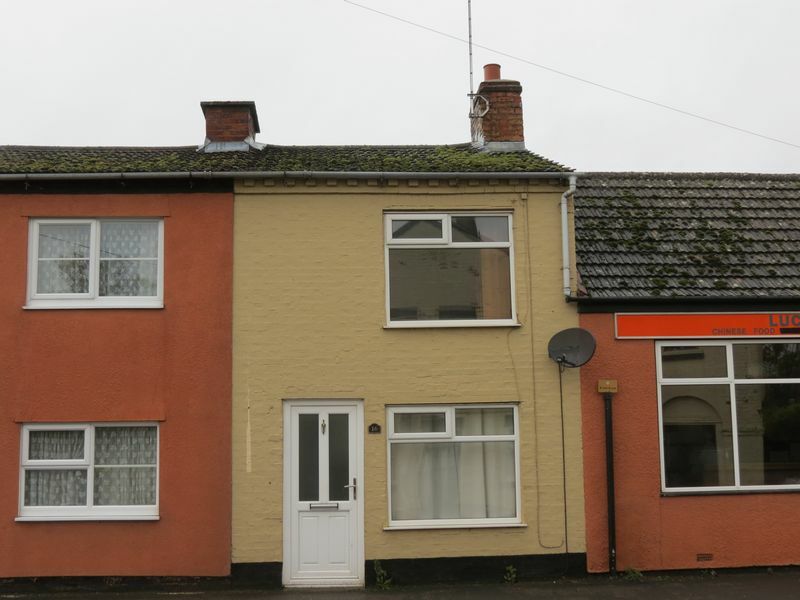 Refitted with three piece suite comprising panelled bath with independent electric shower over, pedestal wash hand basin, low-level WC, electric fan heater, PVCu double glazed window to rear, ceramic tiled flooring, airing cupboard housing hot water cylinder with immersion heater. 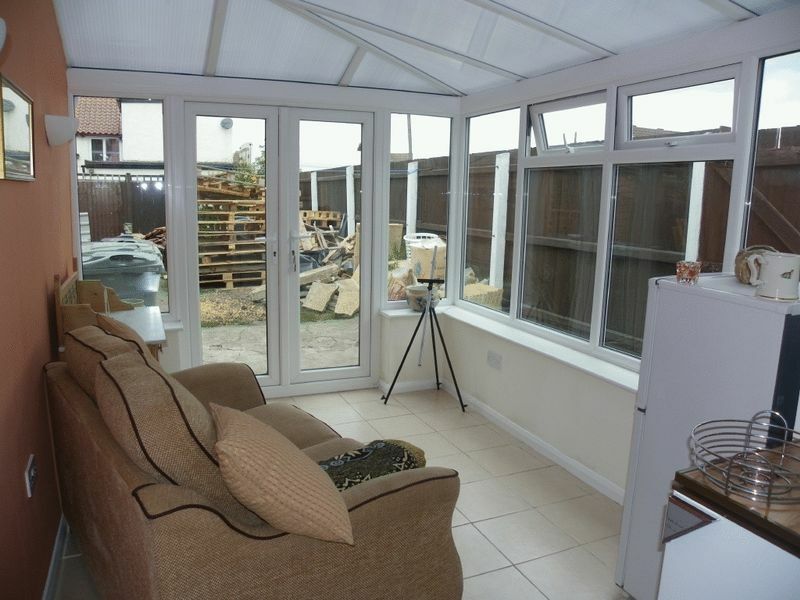 The rear garden is of a good size, and fully enclosed. It runs across the rear of the adjacent property, so is double the width of the house. There is a gate to the side where the sellers have in the past parked their own vehicle. Please note however that there is not allocated parking with the property, it is just an area which the current sellers use.